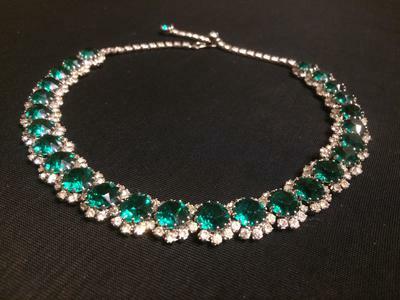 This gorgeous Kramer vintage "emerald" and rhinestone necklace is in very good condition. 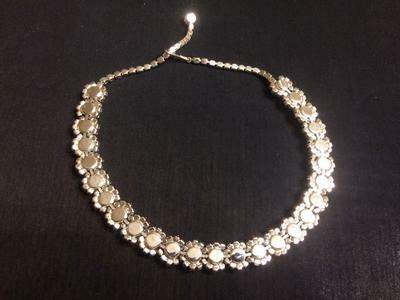 The sparkle and intense color of the stones in this necklace are breathtaking. No stones are cloudy or missing. Notice the green jewel at the end of the extension is a beautiful and captivating touch on the nape of the neck when worn. 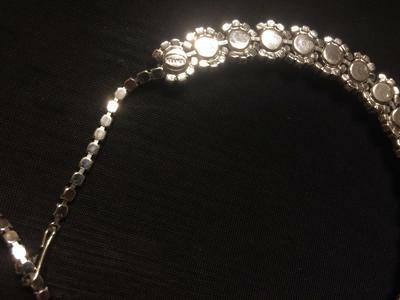 If you are interested in owning this lovely piece, please make your best offer in American dollars.